It all seemed so logical in 1980. A sports car offshoot of Jaguar's next mainstream saloon, a svelte two-seater which would become the new 'E' type. It would spring from the all-new XJ40 then being finalised at Browns Lane. The idea appeared economically and strategically sound; after all, nearly every previous Jaguar sports car had evolved from a saloon - the pre-war 100 from the 2.5 litre, the XK series from the Mk VII. 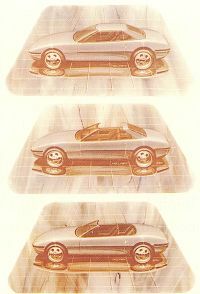 Even the 'E' type had borrowed powertrain and rear suspension from the big four-door Jaguar of its era, the Mk X, while the XJ6 had directly given birth to the XJ-S. Yet ten whole years later, after a major engineering re-think, the first production car was still many months, even years, away and the whole project had become riddled with doubt and division. 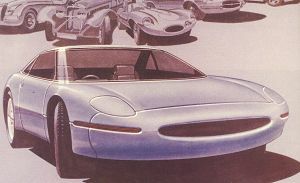 How did this eminently sensible idea - a true Jaguar sports car, a worthy successor to the 'E' type - fall apart so badly that in March 1990, after many millions of pounds had been spent, Jaguar decided to cancel it?